This is one of my first forays into the surrealistic world of infra red film. I have posted many digital infra red shots in the past but this here is one of the first examples of infra red film. I must say this was a really really exciting trip to the park. I felt like a little child again as I shot two rolls of film and literally had no idea if anything would come out on them. Do any of you remember waiting on a roll of film to arrive back from the chemist when you were a kid, it used to take a couple of days and then the excitement when you got your prints. I decided not to develop the film myself this time as I didn’t want any mistakes to be made on my part. After a few days waiting I received two rolls of perfectly exposed infra red film all ready and waiting to join me in the dark room. Some of these photographs took up to four minutes to actually expose and if you look really closely just to the left of the tree in the lower area of the sky you can see the trails of two airplanes. I even had a small herd of around ten deer stroll in to the photograph but alas none of them ended up appearing in the final print, I promise you they were there but unfortunately the moved too fast through the scene. The photograph was taken using a Bronica medium format 120mm camera. I used a roll of Rollei Infrared 400s film and then made the print in the darkroom on Kentmere paper. 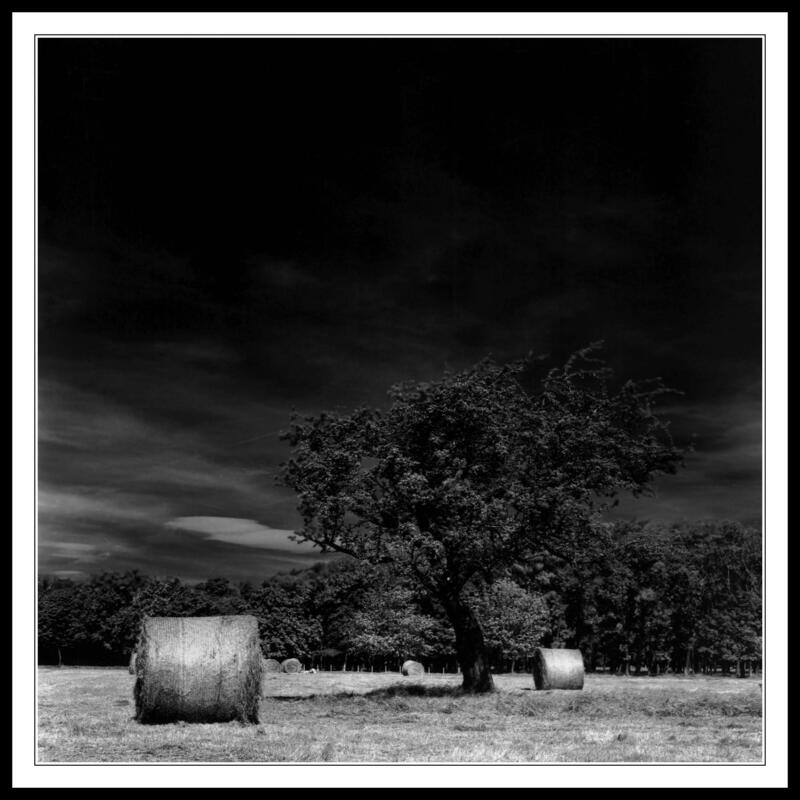 This entry was posted in Film Photography, Infra-red Photography, Phoenix Park, Photography and tagged Black and White Photography, bronica medium format, Dream Like, Infra Red Film, Infra-red Photography, medium format camera, Rollei Film. Bookmark the permalink.